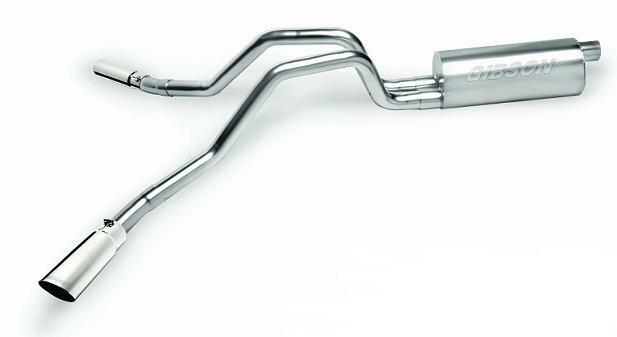 Engineered and dyno-tested for the enthusiasts who wants the most from their truck, the Gibson Dual Extreme Exhaust will provide increased horsepower and torque, and that distinct Gibson exhaust tone. This exhaust system exits behind the rear tires at an angle for an aggressive appearance. The Gibson Dual Extreme Exhaust System is ideal for anyone looking to add an aggressive sound to their F-150, while boosting power at the same time. With this exhaust you can expect to see gains of 15-20 horsepower.